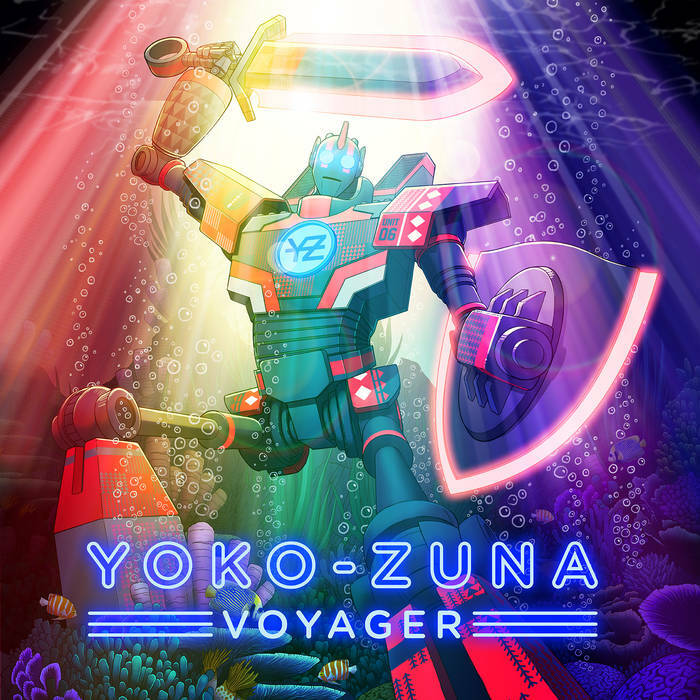 Yoko-Zuna is an electronica and hip-hop fusion made up of four immensely talented and experienced musicians. Their sound is supported by a diverse range of backgrounds from each member, including the addition of jazz school training which becomes evident in a number of their songs. Yoko-Zuna provides a fresh, compelling sound that the New Zealand electronic scene hasn’t necessarily heard before. Yoko-Zuna’s first album, This Place Here was released in 2015 and now in 2018 their sound has not only developed but has made me excited for the future of this band. I’m not a new fan of Yoko-Zuna, as they’ve worked with some of my personal favourite New Zealand artists such as Randa, Bailey Wiley and more recently, JessB. This album brings a string of features with a stand out for me being from SWIDT, an Onehunga rap collective. I hoped rapper Raiza Biza would collaborate with the group sometime soon and they surely provided with Peace of Mind, bringing Bailey Wiley in to perfect the song. Several of the songs have been released throughout this year as build up to the album, each with dynamic videos accompanying. Every video aid’s the dynamic element of not only the songs but the representation of the group themselves. Finding the place of these releases within the album gives almost a feeling of discovering the songs for the first time all over again. I hit the repeat button with no hesitation. I can’t emphasise enough the pure energy and excitement the prologue of this album gives me. The scene is set and although that is completely up to the listener it moulds the tone of the album into itself and gives you a taste of what’s to come. The middle of the album has harder hitting songs with a more industrial sound. Television lays down the basis for all my childhood video games, launching you into a space quest of adventurous proportions. Although Television and Voltron are parted by the sweet interlude and intro of Nortlov it’s an intentional placement for the songs, with the harmony flowing into a more drum n bass like tribute that Voltron holds. The Midterlude brings us back down to prepare for a tasty feature on Find a Way from Ladi6. Her voice couldn’t be more welcomed on this song and this album. It was a pleasant surprise to hear her vocals flooding through the track and is most definitely a stand out moment for me on the album. Another stand out track for me is one of their more recent single releases Energy featuring JessB and Bobandii. This was the song that had me most charged for the album and I may be biased with the featuring of JessB and I’m excited to see her doing more and more impressive tracks over the course of 2018. Bobandii’s voice adds a different component to the track and a unique flair that not so surprisingly works well on a whole. The journey to the end of this album really begins to mellow out, the diversity of this group continues to be proven with each song. As the album rounds up my guess for a crowd favourite will be Minority as I know everyone loves a bit of orchestra, groove and beautiful voice like Noah Slee’s to bring things back down to Earth. We revisit the prologue, rounding up the feel for the album and not letting you forget the impact of this perfectly sculptured experience. This album may very well be a highlight of 2018 for me and while I never slept on their earlier releases I’m now going to be paying ten times more attention to the group. Voyager is due for release on November 16, 2018. Formed out of the ashes from one of Auckland’s most musically-creative hubs, Yoko-Zuna have established themselves as one of the most exciting bands in New Zealand. With their combination of unique electronic and hip-hop compositions, and a live show which is rarely bettered, Yoko-Zuna is an act with talent to burn. With the release of their debut album, This Place Here, in 2015, Yoko-Zuna announced themselves to the greater music scene with an album showcasing a sound which hasn’t been previously seen in NZ – sub-electronic frequencies, melodic moments, and immense bass-synth-fuelled drops. The album combined Yoko-Zuna’s unique instrumental sound with some of the country’s most talented vocalists including David Dallas, Bailey Wiley and Team Dynamite, and in turn created a huge queue of willing collaborators. Not willing to rest on their laurels, May 2016 saw Yoko-Zuna release the Luminols EP, 5 tracks which not only continues to fulfil the promise of their amazing live shows, but also show new depth and versatility to the band’s song-writing abilities. Featuring some of NZ’s biggest vocalists in P Digsss, Laughton Kora and Tom Scott, along with the fresh talents of Lukan Raisey, Heavy and Larzranda, the EP shows a band infusing the genres of electronic/hip-hop with their own inimitable sound.